Look at the photo below. This is a ramp installed where a McDonald’s restaurant was recently renovated in the Cool Springs area of Brentwood, TN. 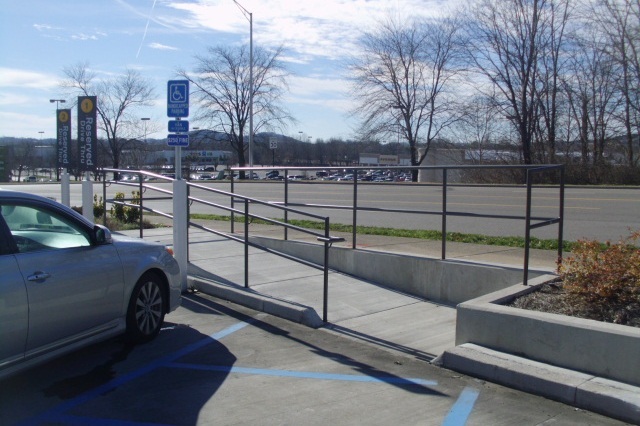 The ramp connects a municipal sidewalk with the ADA accessible parking area and a marked accessible route leading to an accessible entry/exit door at the restaurant. So this gives pedestrians on foot, or in a wheel chair, access to/from the municipal sidewalk and one of the accessible access doors at the facility. See the photo below for the view from the restaurant out to the parking area and ramp. Now I live in this area and I can tell you there are not a lot of people who use that sidewalk. Furthermore, the 2010 ADA Standards for Accessible Design does not require this installation. 2010 Standard 206.2 [Accessible Route] Where Required, states, “Accessible routes shall be provided where required by [Standard] 206.2. “ Standard 206.2.1, Site Arrival Points, states, “At least one accessible route shall be provided within the site from accessible parking spaces and accessible passenger loading zones; public streets and sidewalks; and public transportation stops to the accessible building or facility entrance they serve. 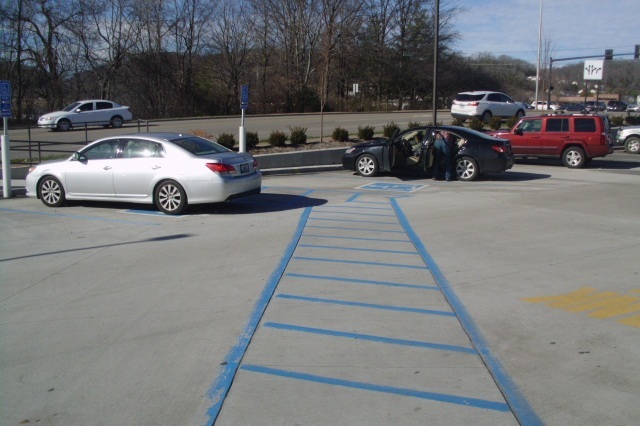 However, EXCEPTIONS: 2 states, “An accessible route shall not be required between site arrival points and the building or facility entrance if the only means of access between them is a vehicular way not providing pedestrian access.” This facility, like many quick service restaurants, has a circular vehicular way that runs around the building. So this facility is not required to have this accessible route. Despite that, McDonald’s has taken the initiative to not only include this ramp installation in the renovation of this site, but also connect the ramp to the accessible parking and marked route to the facility. This is how ADA is done right! 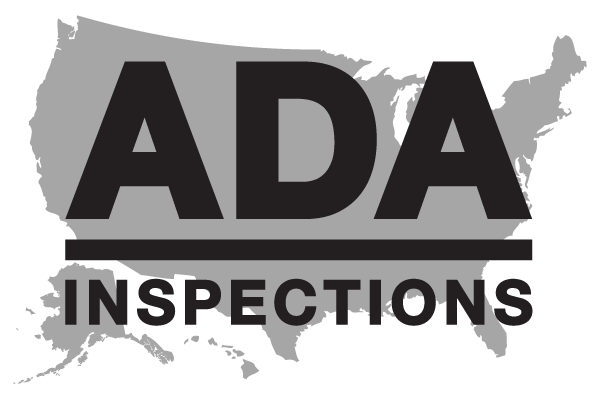 This McDonald’s restaurant would be a candidate for the Certificate of Excellence program at ADA Inspections Nationwide, LLC.